It really is summer. It’s not because its already April but because it’s insanely hot. This kind of weather makes me not want to move at all and just stay in front of the electric fan (even though it seems as if I’m in front of a blower). A little movement and you get sweats. More movement and you sweat a lot. I just want to sink myself in the tub (as if I own one) with ice cold water. Summer outing? I don’t know but I’m too lazy to travel. Maybe because I’m too tired during weekdays that I just want to sleep and relax during weekends. Speaking of summer outings and swimming, this recipe is perfect for this occasion. 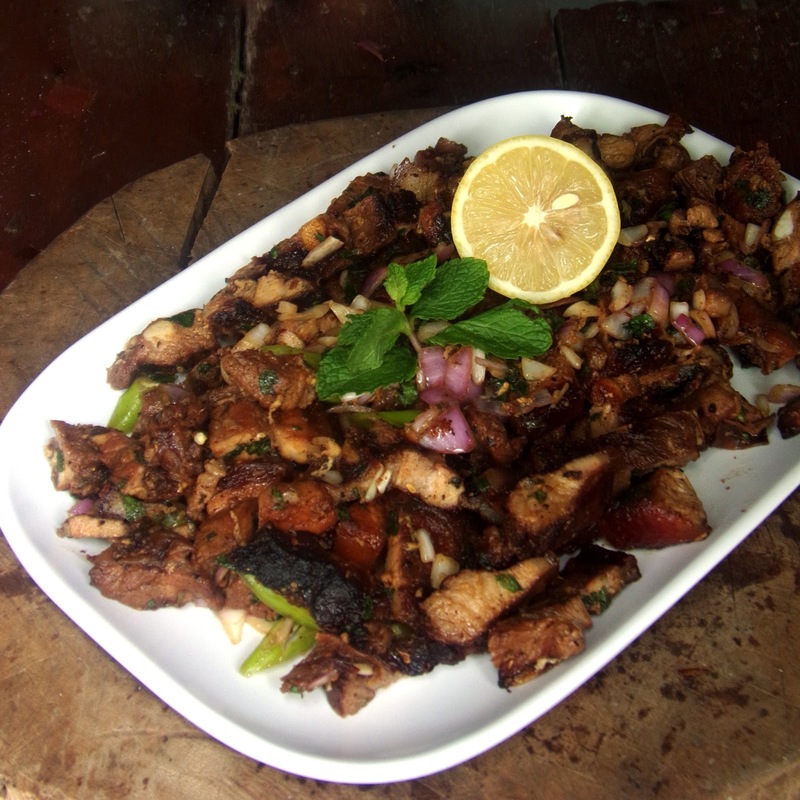 Grilled pork, squids and fish (usually tilapia) are staple foods during outings and swimming. 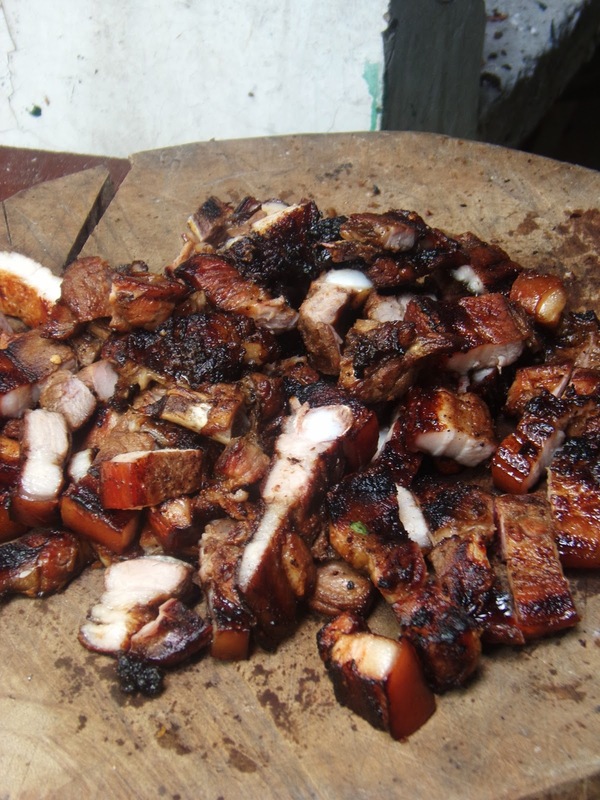 Specially grilled pork or barbecue, they are the best seller among them. 1. 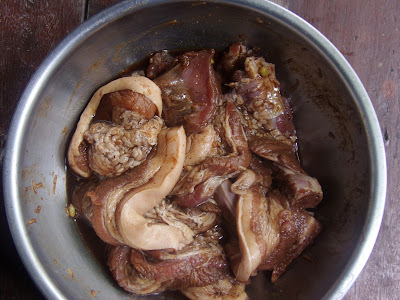 Thoroughly clean the pork belly and pat dry to remove excess moisture. 2. 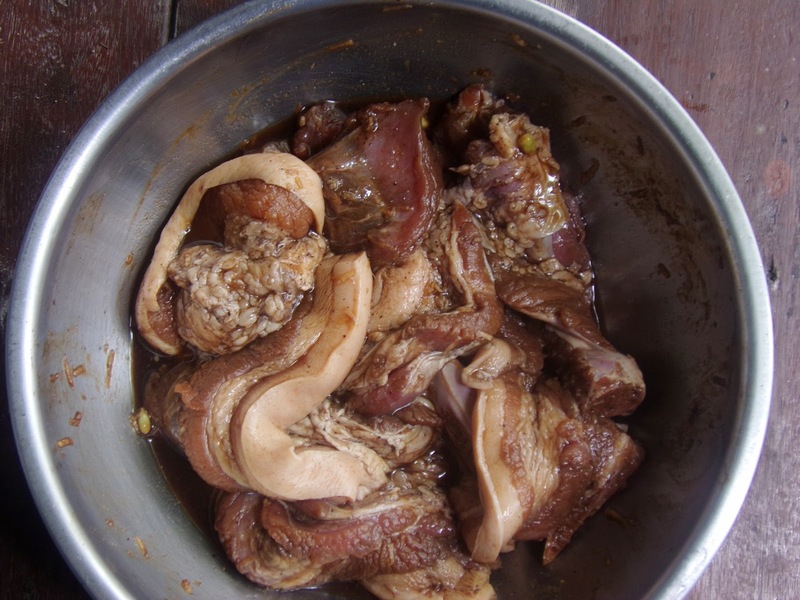 Combine marinate and pour over the pork belly. Marinate for at least one hour. 3. Grill over live coal. 4. Chopped into bite sized parts. 5. Combine the salsa ingredients and toss into the chopped pork belly. 6. Combine vinegar dipping ingredients in one saucer and serve with the chopped pork belly. I don’t want to boast but its really good. This Refreshing Summer Grilled Pork Belly is really refreshing. 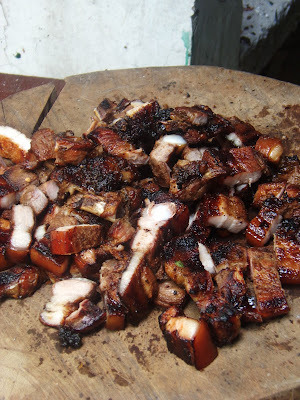 The tanginess of the lemon and calamansi juice and the gingerly taste counterbalance the richness of the pork fats. The chopped onion imparts sweet spicy flavor into the chopped pork belly. The chopped mint leaves add a subtle fresh taste to the dish. Dip this into the vinegar dipping and the two complements well to increase your appetite, reaching for more rice. Hi! I hope your dad will like the recipe. If you may also want to try Roasted Layered Herbed Pork Belly (http://www.kusinaniteds.com/2013/11/roasted-layered-herbed-pork-belly.html) with a really nice pork fat crackling to match the fire crackers' sound this New Year. Hi! Yeah, its really good. you can also pair it with bottle of beers for your friends get together. Looks really good and sumptous. I will this for 4th of July.